We all deal with disappointment. 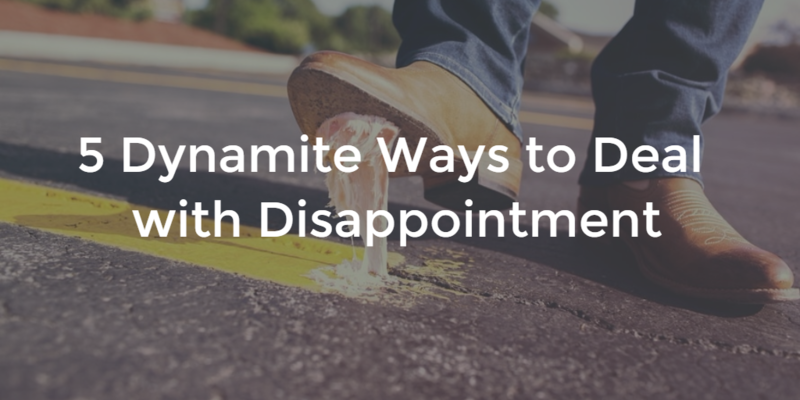 At some point we will fail and it’s important to know how to deal with disappointment in a healthy way so that you can get back to doing the things you’re passionate about. 1. Don’t allow your emotions to control you. We are emotional beings. It is important to recognize and acknowledge our emotions but not to be controlled by them. 2. Review your expectations/goals. Make sure your goals are SMART or CLEAR. 3. Remind yourself of your successes. One of my favorite podcasters, Dave Jackson, has a catchphrase. It’s, “Back in the day…” Remeber those successes you had “back in the day”. 4. Go deeper with others and God. When those close to us succeed it motivates us. Helping other motivates us. Knowing our identity is in Christ and not our failures or successes gives us a strong foundation. 5. Try again, and again, and again… Once we’ve readjusted, reevaluated, and been reinvigorated it’s time to try again. Don’t give up!